In Neoliberal Frontiers, Brenda Chalfin presents an ethnographic examination of the day-to-day practices of the officials of Ghana’s Customs Service, exploring the impact of neoliberal restructuring and integration into the global economy on Ghanaian sovereignty. From the revealing vantage point of the Customs office, Chalfin discovers a fascinating inversion of our assumptions about neoliberal transformation: bureaucrats and local functionaries, government offices, checkpoints, and registries are typically held to be the targets of reform, but Chalfin finds that these figures and sites of authority act as the engine for changes in state sovereignty. Ghana has served as a model of reform for the neoliberal establishment, making it an ideal site for Chalfin to explore why the restructuring of a state on the global periphery portends shifts that occur in all corners of the world. 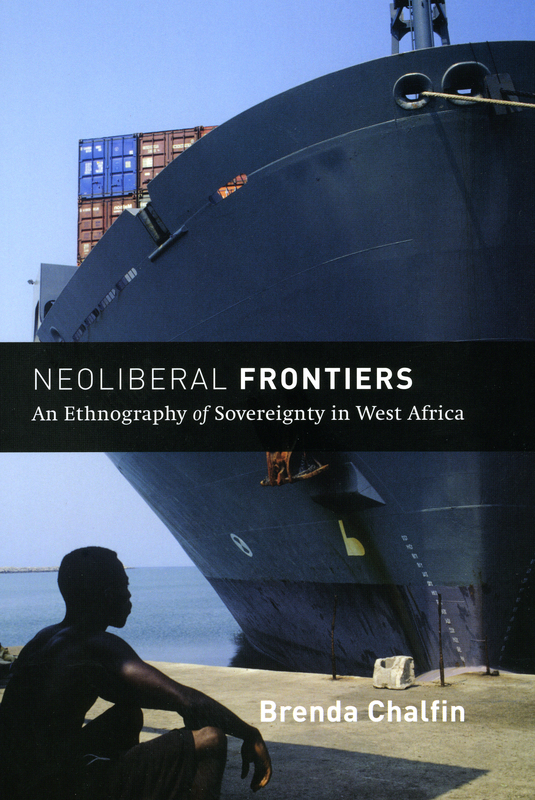 At once a foray into international political economy, politics, and political anthropology, Neoliberal Frontiers is an innovative interdisciplinary leap forward for ethnographic writing, as well as an eloquent addition to the literature on postcolonial Africa.